Bring on fall arts! Previews of the upcoming season are now on newsstands. Peacock in the Desert: The Royal Arts of Jodhpur, India, is one of Seattle Met’s “35 Events to Catch This Fall” and is on Seattle Magazine’s list of “Everything you need to know about art in Seattle this fall.” Get ready to enter a kingdom of art: Tickets for the exhibition go on sale this Wednesday. Last week, SAM sent summer off in a blaze of glory at the Olympic Sculpture Park, with the closing celebration of Summer at SAM on Thursday and the 10th anniversary edition of Remix on Friday. Check out Seattle Refined’s photo slideshow of Summer at SAM and Seattle Met’s look at our thrice-yearly arts bash, including an interview with SAM Manager of Public Programs Philip Nadasdy. Crosscut’s Manola Secaira on the inaugural art show inside the new Mexican Consulate in the building that formerly housed the Harvard Exit Theatre; the show features ceramics by Adrián Gómez. The Seattle Times gets us ready for “the hottest Seattle events for September,” including the Hugo House opening, PNB’s Jerome Robbins fest, and some Group Therapy at the Frye. Another lovely video story from Crosscut’s Aileen Imperial: Hear from conceptual artist Natasha Marin about Ritual Objects, the third in her series of Black Imagination exhibitions about cultivating—even bottling—Black joy. “Is This the Most Powerful Sculpture at the Met?” The New York Times’ Holland Cotter contributes to their ongoing “Why I Love” series with this reflection on a statue that both welcomes and warns. Jasmine Weber of Hyperallergic reports that after 122 days of union bargaining, the staff of the Museum of Modern Art (MoMA) has secured a five-year contract that secures raises and benefits. Artnet’s Eileen Kinsella on the Metropolitan Museum of Art’s new exhibition, Armenia!, and what an exclamation point in an exhibition title DOES, exactly. 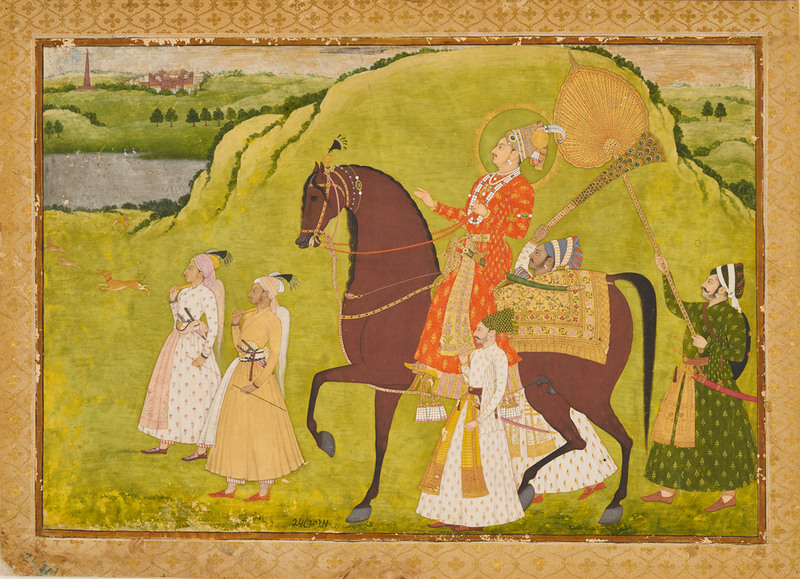 Image: Maharaja Abhai Singh on Horseback, c. 1725, Dalchand, Jodhpur, opaque watercolor and gold on paper, Mehrangarh Museum Trust, photo: Neil Greentree.